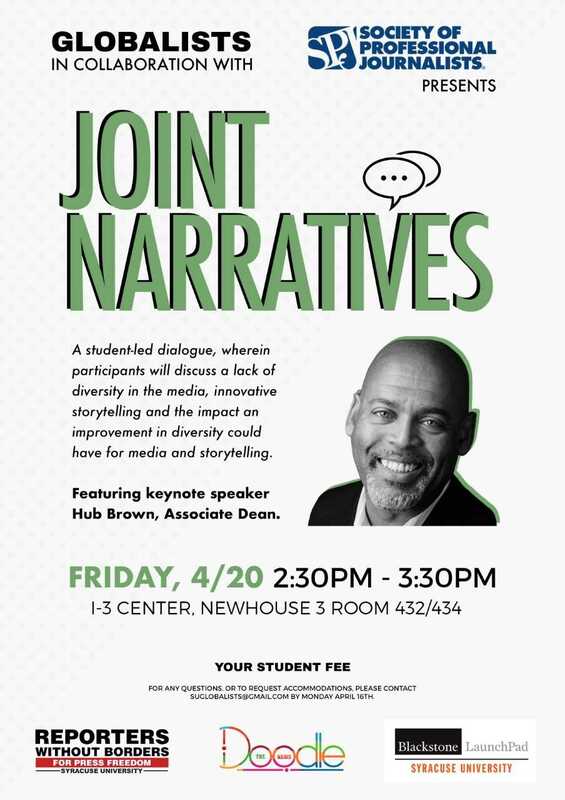 With Newhouse being a top communications program in the nation, many students, professors, and staff know the true power media has. Taking part of the revolutionary changes humanity experiences in our information age is exhilarating, and it can sometimes be overwhelming to keep up with the constantly updating technologies that arise. No matter what, media will always be a dominating factor that shapes people’s perceptions of diverse cultures across the globe, and it has certainly posed different effects over time. Race, religion, gender, sexuality, and other human identities all transcend from older forms of media to new, and how people are represented on these platforms is not always accurate. More traditional media such as television, radio, and books were primary ways we consumed content before social media, streaming, etc., and content created for these platforms differ greatly from what is created today. For instance, you can take a social justice warrior’s goggles and find tons of politically incorrect euphemisms and jokes from shows as lighthearted as Friends. I love and always will love Friends, but I’m able to simultaneously recognize that certain stereotypes shouldn’t pervade anymore. Having this duality helps me understand where certain stereotypes can come from while not tainting such a classic program for me growing up (and it’s a comedy show; most of comedy pushes limits and pokes fun at the human experience). 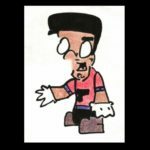 Taking both sides of the spectrum into consideration, I understand how some of the problematic themes in traditional western media can construct these stereotypes ingrained in the fabric of our society. But the hard truth is that these mis/representations across different cultures have been shaped largely by corporate interests in media, making them dominant stereotypical pillars hard to knock down. But as technology becomes more fast-paced, so does our sociological development. Today, we are all the prominent media makers. With the social media landscape only continuing to grow, our individual personalities and concerns are easier to see, and the latest social activist movements are a result of that. For what it’s worth, the entire media industry is (and always will be) dynamically shifting, and human evolution is just going to have to play catch up. Given the communication technology around us at all times coupled with social media and group messaging services, the speed at which we can reach people is insane, and we’ve only had this technology for less than two decades. To a degree, our human behavior is under a microscope compared to how our last generation grew up, and this has made it possible to see the true toxic nature humanity fosters. We have recently seen these issues close to home, as the Theta Tau fraternity was recently banned from Syracuse University’s campus. People are simply becoming more conscious and aware of the unfair structures that perpetuate societal division. Furthermore, people aren’t aware that their bigoted tendencies can easily be uncovered, and the tolerance for it is deservedly scarce. Personally, I’m not surprised the fools at Theta Tau exhibited such deplorable behavior. They thought they were shrouded under a sense of privacy, as our human experience has always been that way. But little by little, these incidents leak out and expose the problems we must work hard to solve in our society. 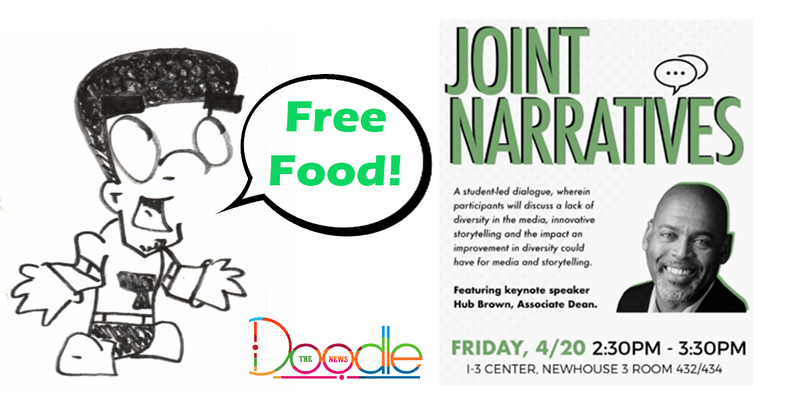 This is why Doodle the News encourages you to join our conversation at the Joint Narratives panel in the I-3 Center (Newhouse 3, Room 432/434) on April 20th from 2:30pm – 3:30pm, as we will have an open and safe space to discuss these issues in diversity. Media has the power to define who we are for people who don’t know us personally. Some choose to judge a book by its cover, basing their judgments on preconceived representations that don’t always shine the best light on certain cultures. Now, billions of people are sharing their experiences, identities, and cultures with many others online, giving our global society a better understanding of what different people are like. Unfortunately, some people persist on using these opportunities in history to continually spread hatred, bringing these pre-known issues to the forefront of our online communities. Now, new media allows people to analyze these derogatory instances and have their voices heard, thereby creating conversations centered around how we can expel bigotry, racism, sexism, and egregious commentary from hurting others anymore. As people continue to speak up for what they believe in, the market will respond. The transcendence of our preferences in media will always determine what messages and stories are told, and it’s an exciting time to see how even you can be a part of the change.